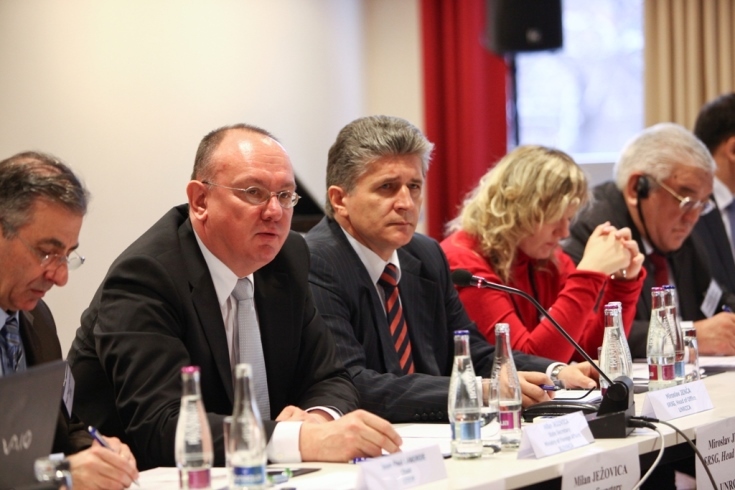 The First Expert Meeting on Pillar I, “Measures to address the conditions conducive to the spread of terrorism”, and Pillar IV, “Measures to ensure respect for human rights for all and the rule of law as the fundamental basis of the fight against terrorism” was held on 15-16 December 2010 in Bratislava, Slovakia. Discussions on Pillar I led to the identification of best practices as well as gaps in addressing conditions conducive to the spread of terrorism. These included the need to address latent conflicts within the region; the need to prevent and address socioeconomic inequalities, marginalization, and youth unemployment as these in many cases serve as catalysts for radicalization, and can ultimately lead to terrorism. At the same time, the need to promote tolerance, intercultural, interreligious and interethnic dialogue was stressed. Discussions on Pillar IV led to the identification of measures to ensure respect for human rights for all and the rule of law as the fundamental basis for the fight against terrorism. Participants identified tangible measures to ensure that human rights and the rule of law, including safeguarded good governance in the fight against terrorism in the region and strengthened criminal justice system in this regard.